Airbiquity Gets Investment Funds From Toyota Motor, DENSO And Toyota Tsusho Corp.
Zubie, connected-car platform and telematics data insights provider, announced it has closed an additional round of funding to fuel growth. Existing investors BP and Melody Capital provided the capital infusion. 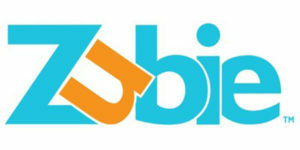 In addition, Paget Alves and Dennis Huber will join Zubie’s board of directors. The capital raised will be used to fund growth in the Fleet sector as well as launch new products addressing additional verticals with Zubie’s connected-car solutions. With this investment, Zubie also announced the addition of telecommunications veterans Paget Alves and Dennis Huber to its board of directors. Alves and Huber have a combined 50-plus years experience in telecommunications, adding additional financial, operational and marketing experience along with expertise in product development and IT to an already talented executive slate. For more than a decade Alves rose through the ranks at Sprint Corp., most recently serving as chief sales officer. He previously served as president of that company’s business markets group; president, sales and distribution; senior vice president, enterprise markets; and president, strategic markets. Huber is president of MJH Consulting, LLC. With more than 30 years experience in telecommunications, he leads dynamic organizations to achieve improvements in revenue growth, cost management and operational performance. Prior to founding MJH Consulting, Huber was executive vice president, network services for CenturyLink, where he led the CTO, CIO, Product Development, Network Engineering, Design and Construction organizations. Previously, he was SVP Network Services, IT and Corporate Strategy at Embarq; president of Sprint North Supply Sprint; SVP Network and IT at Sprint PCS and VP Network, IT and Product Development at Sprint Long Distance. Huber holds a BSBA, Double Major: Management and Marketing, Rockhurst University, Kansas City, Missouri, and a MBA from Rockhurst University, Kansas City. He also serves on the board of Rockhurst University.